CUTCNC[CUTCNC? 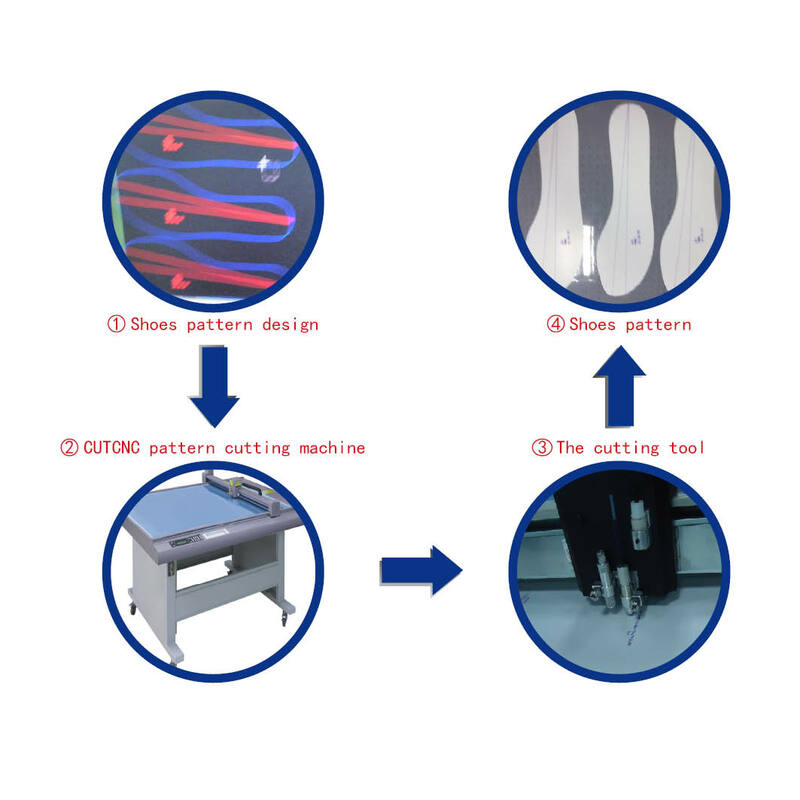 :cutting machine sample maker manufacturer] footwear pattern cutter[pattern cutter? :pattern cutter] is applied to footwear shoe patterns and it can instead handwork cutting ,so the new pattern is more time-saving ,higher precision and efficiency. CUTCNC shoes[shoes? :shoes paper pattern cutter] pattern footwear[footwear? :Footwear paper pattern cutter] pattern cutter can make operations to shoes pattern like cutting, half cutting, dotted line cutting, line plotting and writing. The main materials that shoes pattern footwear pattern cutter can process in footwear patterns are as follows: paperboard, kraft paper, cardboard, etc . Then the DCE series shoes pattern cutter is the main machine which on CUTCNC cutting equipment[cutting equipment? :cnc cutting system sample maker] in footwear patterns. DCP[DCP? :packaging sample cutting machine] series shoes pattern[shoes pattern? :shoes pattern] cutter can also process, but the price is relatively expensive.